Our unique women's hoodie dress is finally available at our store. Have in mind that you will not be able to find our products in any other store. Our designs are limited edition and could be sold out fast. 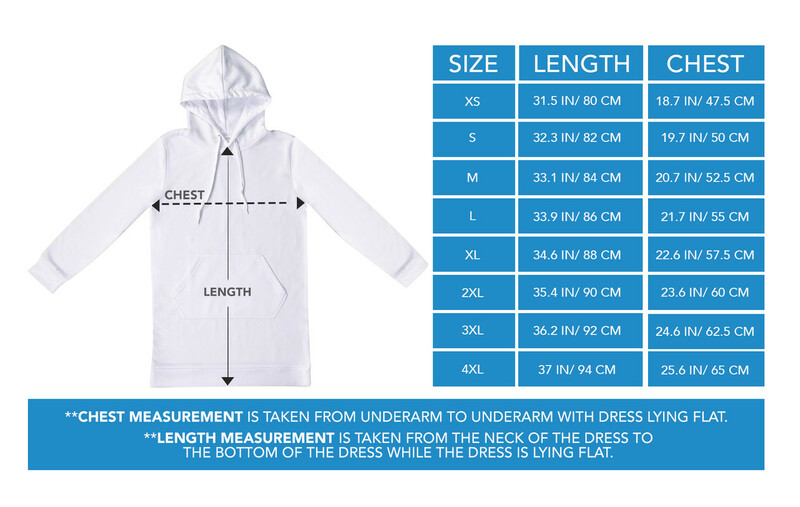 Please double check the size chart below!